There’s no doubt that family travel and travelling with a baby can be “challenging”. 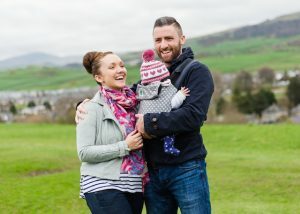 It might even seem easier to avoid travelling altogether until baby is older, but with a bit of planning and preparation it will become so much easier! It’s worth remembering that with air travel, flights with a young baby are often more straightforward than travelling with a mobile baby. We’ll help you make your family travel fun, instead of stressful. Most parents and carers will be looking for ways to get to their destination with only one or two extra grey hairs. So here are our 5 top tips for travelling with your baby (or babies!). Planning is essential for any successful trip, and even more so with a baby joining you. Make sure you have an itinerary or general outline of what you want to achieve, by the night before. This means you can coordinate your day with ease, and with minimal disruption! A baby carrier will make your life infinitely easier when travelling. No more lugging around heavy pushchairs, dealing with different terrain, or finding storage for the buggy. The KahuBaby Carrier folds down compactly, so when baby is not using it, it doesn’t get in the way or take up valuable space. The KahuBaby enables you to keep your children close to you, and reduces the worry of them wandering off – especially important for babies who are walking or curious toddlers! You can instantly tend to your child’s needs, lowering everyone’s stress levels. Your baby carrier leaves your hands free to deal with the travel itself and carrying the luggage! You know while you’re packing for your family holiday, and you think you have enough nappies, wipes, and changes of clothes? You don’t, and you need to pack more! You really don’t want to be in a new and unfamiliar environment, only to find that you’ve run out of supplies while you’re dealing with the latest poonami! Not only will you have everything you need right on hand, it’ll save you buying brands that you’ve not used before. It means too that you won’t spend holiday time trying to find the nearest shop – especially problematic if you’re abroad. You know your little one better than anyone else, so when you’re planning your trip, consider their patterns and any routines that you might have together. Knowing nap times and those times when your child needs to be active will help you plan effectively to meet your child’s needs. An overtired or overwhelmed child will find the day difficult and need lots of reassurance and extra cuddles. Being aware of your child’s sleep patterns and hunger patterns enables you to work around their routines – meaning your child can sleep when they need it, have access to meals when they need food, and have cuddles when they need those. 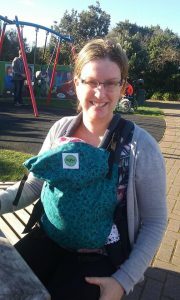 Your KahuBaby Carrier will be super useful for those hands-free cuddles and for the naps too! Long journeys and family travel with a baby will be much more pleasant if you have something on hand to distract them; whether that be a few toys, their favourite stuffed animal, sensory items, or a fun book. By making sure you have these with you it will make travel so much easier. Perhaps having a specific bag, they can take care of with their fun chosen items will encourage independent amusement, allowing you to concentrate on the road or the flight announcements. So there you have it, with our top 5 tips for travelling with baby – you’re sure to feel empowered, prepared and ready to have some fun!